J.R. Murphy founded the firm with John Grantland in 1997. He serves as the managing shareholder and concentrates his legal practice on insurance coverage, bad faith and complex personal injury cases. He has extensive experience in every practice area of the firm. Although his principal focus is on insurance coverage counseling/litigation and defending extra-contractual claims, J.R.’s practice also includes automobile/transportation defense, agency professional negligence, product liability, construction defect, and employment law. 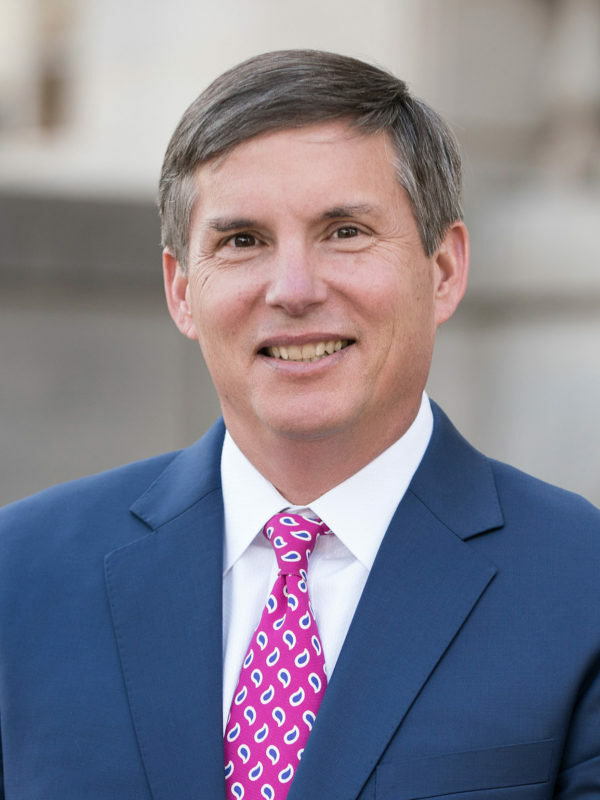 J.R. has conducted almost 200 jury trials and is also one of South Carolina’s most active appellate attorneys, arguing more than 50 cases before the state and federal appellate courts, including the South Carolina Supreme Court and Court of Appeals and the United States Court of Appeals for the Fourth Circuit. Clients and fellow attorneys frequently call upon J.R. for his evaluation of unusual insurance coverage matters, including auto, general liability, specialty and first-party property coverage policies. He also counsels clients on how to avoid or defend extra-contractual liability claims. J.R. is a member of the Federation of Defense and Corporate Counsel and a fellow of the American College of Coverage and Extracontractual Counsel. He is a frequent lecturer at legal and insurance industry seminars around the country. J.R. attended the University of South Carolina on a soccer scholarship and obtained both his undergraduate and juris doctor degrees from the University. Cramer v. National Cas. Co., No. 16-1770 (4th Cir. 2017) The United States 4th Circuit Court of Appeals reversed a District Court Judge’s interpretation of case law commonly cited in automobile injury cases. At trial in, the Judge held that “an insurer had to provide underinsured motorist coverage to an ambulance driver, even though she was standing across the road from the ambulance” when she was struck by a passing motorist. The lower court held that the driver was “occupying” the ambulance. J.R. Murphy argued the appeal and the 4th circuit reversed -- denying that UIM applied. That ruling is consistent with several prior decisions Murphy obtained under similar facts. McWhite v. ACE American Ins. Co., 412 Fed. Appx. 584 (4th Cir. 2011): Opinion written by former Supreme Court Justice Sandra Day O’Conner affirming trial court denial of underinsured motorist benefits to company employee who was outside of tractor trailer and therefore not “occupying” the vehicle when struck by oncoming motorist). Auto-Owners Ins. Co. v. Essex Homes Southeast, Inc., 136 Fed. Appx. 590 (4th Cir. 2005): Applying the “impaired property” exclusion to loss of use claims arising from construction of residential development on top of former WWII bombing range). Traynum v. Scavens: The SC Supreme Court affirmed the trial court's interpretation of what constitutes a meaningful offer of underinsured motorist coverage (UIM). Burgess v. Nationwide Mut. Ins. Co., S.C. Ct. App. No. 26304 (S.C. April 9, 2007): Presented oral argument on behalf of multiple appellants in case which Supreme Court used to clarify permissible limitations on the portability/stackability of underinsured motorist coverage. Progressive Cas. Ins. Co. v. Leachman, 362 S.C. 344, 608 S.E.2d 569 (2005): Answering certified question that insurer was not required to list limits of coverage for which it was not authorized to sell in South Carolina. Charleston Dry Cleaners & Laundry, Inc. v. Zurich Am. Ins. Co., 355 S.C. 614, 586 S.E.2d 586 (2003): Answering certified question by dismissal of bad faith claim against independent adjuster hired by the insurer. Fowler v. Nationwide Mutual (S.C. Ct.App. August 6, 2014): On appeal, the Court of Appeals found that circuit court erred in admitting opinion testimony from a non-expert during trail resulting from a home fire. S.C. Mun. Ins. and Risk Fund v. City of Myrtle Beach, 368 S.C. 240, 628 S.E.2d 276 (Ct. App. 2006): Applying eminent domain exclusion to case involving reimbursement of wrongfully retained water bill payments from non-resident landlords. Newton v. Progressive Northwestern Ins. Co., 347 S.C. 271, 554 S.E. 2d 437 (Ct. App. 2001): Refusing to apply South Carolina statutory requirements to policy issued to Georgia insured for accident occurring in South Carolina.